“Good for you” has a long track record. Food producers and marketers have been touting the health benefits of their products for as long as there’s been food to sell. But in the 21st century, “good for you” often isn’t good enough. Today’s consumers, particularly millennials and Gen Z-ers, want foods that not only are good for them but good for their fellow humans and for the Earth. Increasingly, it’s sustainability that determines a food’s worth for many consumers, thanks to growing concerns about climate change, resource scarcity and potential health effects associated with certain products, including baked goods. Nearly 54% of millennials, for instance, say they consider the environmental impact of products when making purchasing decisions. Companies that figure out how to deliver sustainability without sacrificing quality, flavor and other essential attributes are guaranteed to thrive in this new, more connected world. Central to the sustainability mission is waste reduction. About 40% of food is wasted in the U.S., with bread being one of the most discarded items. Corbion is at the forefront of fighting waste in the baked goods industry, with mixes, bases and concentrates that make it easier for bakers not only to deliver consistently excellent baked goods, but to do so in a less wasteful manner. Many bakery manufacturers are seeking new ways to keep baked goods fresher, longer, while at the same time reducing the footprint of their bakery operations and incorporating more sustainable ingredients, such as RSPO-certified palm oils, into their products. They’re also seeking solutions for consistency — another great way to reduce waste. Corbion also ensures that all of the suppliers of its raw materials have policies that address a wide range of issues under the sustainability umbrella, including business ethics, human rights, labor issues and environmental protection, McClellan says. More specifically, consumers want to know about what goes on behind the scenes, including labor, animal welfare and other measures involved in product development. Beyond addressing social and environmental concerns, McClellan says these measures help put a human face on products, making consumers feel more trusting of the manufacturers and their bakery items. For years, Corbion has been growing its business in sustainable ingredient solutions to help its customers meet their sustainability needs. That’s especially important, Corbion believes, as clean-label demands continue to shift toward greater transparency and sustainability. Corbion’s enzyme solutions also help customers reduce waste and meet sustainability goals by improving dough development and processing tolerance, as well as improving the overall quality of finished products. In addition, Corbion enzymes help bakers reduce the number of ingredients required for their formulations, including chemical dough conditioners. With reduced formulation costs, bakers are able to increase yields while meeting the latest consumer demands. By working directly with its customers, Corbion is able to help implement the most fitting solutions for their specific applications. The company also offers innovative solutions for freshness, consistency and waste reduction. With its Ultra Fresh line, for instance, bakers can provide fresher tasting baked goods, enhance quality and increase availability for fully stocked shelves, while reducing waste and stales. Beyond its product portfolio, Corbion demonstrates its commitment to responsible sourcing through its involvement with organizations like RSPO, Bonsucro and Field to Market. And in 2017, the company joined the Science Based Targets initiative to help lower its carbon footprint. “As part of helping our customers meet their sustainability needs, we also collaborate with other suppliers to reduce greenhouse gas emissions along our value chain, which by extension, helps to lower the carbon footprint of our customers,” McClellan says. Running a sustainable business doesn’t always come easy. 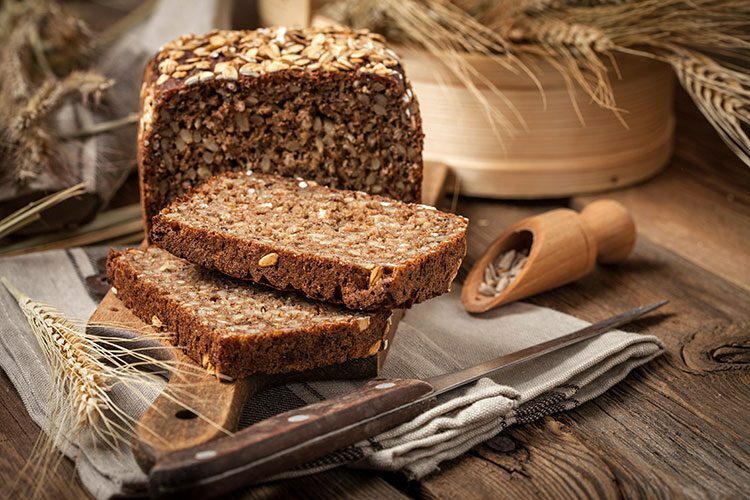 Delivering a consistent product, protecting freshness and creating a premium experience can pose challenges for bakers who are making the switch to more sustainable practices, especially given the increasing variability in the quality of raw materials and the scarcity of skilled labor. Gaining commitment and creating significant change among players throughout the supply chain, McClellan says, is also an enormous challenge. As a result, it’s important for bakers to have cost-effective solutions that help them meet sustainability goals with ease, while maintaining the functionality needed to deliver on quality and consistency.